1-6 –Magenta (2) Un Café ! Licensed From – Spiritual Life Inc. Produced For – Tèt Kale Productions, Inc. Published By – United Artists Music Corp.
Track 1-1 publishing> Avec Brio / 0033 Editions. Recording and mix> B-Shankar Studio, Paris. Track 1-2 publishing> 00 33 Editions: administered by Passport Songs Music. Mix> Studios De La Seine, Paris. Track 1-3 publishing> Rosebud Music / Editions PolyGram. Track 1-4 publishing> José Padilla. Track 1-5 publishing> United Artists Music Corporation. Track 1-6 publishing> Pst! Courtesy of EMI France. 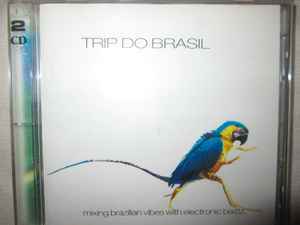 Track 1-7 publishing> Peer Music Do Brasil. Recording & Mix> Ouistiti Studios, Paris. Track 1-8 publishing> 00 33 Editions: administered by Passport Songs Music. Track 1-9 publishing> 00 33 Editions: administered by Passport Songs Music. Sound engineering for Blackfeet. Track 1-10 publishing> Copyright Control. Recut & Remix for Rockers Hi Fi. Track 1-11 publishing> 0033 Editions; administered by Passport Songs Music. Contains a sample from "Os Grilos" by Marcos Valle. Track 1-12 publishing> Copyright Control. Track 1-13 publishing> Bolla Music (ASCAP) / Jephté Guillaume Music. Recording & mix at The Krib, New York. Under exclusive license from Spiritual Life Inc.
Track 2-1 publishing> 00 33 Editions: administered by Passport Songs Music. Track 2-2 publishing> 00 33 Editions: administered by Passport Songs Music. Track 2-3 publishing> 00 33 Editions; administered by Passport Songs Music. Courtesy of WEA Music: a division of Warner Music France. Track 2-4 publishing> Westbury Music / DJ D Music. Engineer @ Live Wire Studios. Track 2-5 publishing> Jephté Guillaume's Music (BMI) / Bolla Music (ASCAP). Recording> Black Pearl Studio, NYC. Recording & Mix> Axxis Studios, NYC. Mix & Productions for Tet Kale Productions Inc. & for Sacred Rhythms Music. Under exclusive license from Spiritual Life Music. Track 2-6 publishing> 00 33 Editions: administered by Passport Songs Music. Recording> Studio B Shankar, Paris & Studio Space Tepee, Juvignac. Track 2-7 publishing> Ongaku Musik. Courtesy of Playhouse: a division of Ongaku Musik. Track 2-8 publishing> Soundslike Music / Bucks Music. Recording> Swingtime. Under exclusive license from Lifelike. Track 2-9 publishing> 00 33 Editions: administered by Passport Songs Music. Mix & Productions á la Maison Dans La Chambre. Track 2-10 publishing> Illmental Music (BMI) / Nyamekye Songs (SESAC). Production for Beyond Real Productions. Track 2-11 publishing> Copyright Control. Track 2-12 publishing> Taktik Music. Recording & Mix> Talab MK2, Paris. Production for 00 33 Productions. Mastering> Translab, Paris. Cutting> Dyam Music, Paris & Translab, Paris. Exclusive distribution by Sony Music France. ℗ 2001 Rythmix for 0033 Productions / Rythmix for 0033 DZN. Manufactured and distributed by / Fabriqué et distribué par Sony Music Entertainment (Canada) Inc. Made in Canada. Each disc has it's own catalogue number shown on the face of the disc.